Los Gatos and Monte Sereno real estate is perennially popular. These two west valley communities are situated at the base of the scenic coastal range or Santa Cruz Mountains and are intrinsically linked to one another, though they do have separate municipal governments. The City of Monte Sereno, bordering Los Gatos and Saratoga, is the smallest city in Santa Clara County (where most of Silicon Valley resides). It shares policing, parks, and library services with its larger neighbor, Los Gatos. Most of Monte Sereno’s homes are within the Los Gatos Union School District, too. Monte Sereno is purely residential, meaning no commercial buildings including restaurants and shops, only homes, a post office, and city offices. This makes for an attractive, semi-rural, upscale enclave. This area is slightly more expensive than Los Gatos, at least most of the time. 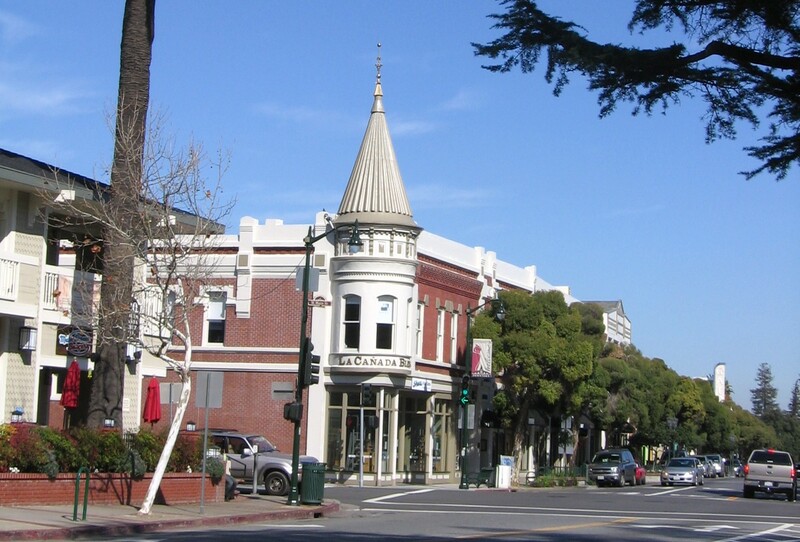 The Town of Los Gatos is the gateway between Silicon Valley and the Pacific Ocean & Santa Cruz county. With a mild subtropical climate, excellent schools, charming architecture, and superb views of the hills and valley, there’s a lot to love about this town. There are hundreds of acres of park and open space around town, including Vasona and Oak Meadow near downtown. With hiking, biking, horseback riding, rowing, and sailing at Lake Vasona, enjoying the outdoors is no chore. The golf course, swim and racket clubs, and the Jewish Community Center’s recreation facility provide more enjoyment and exercise opportunities. In the downtown area are plenty of shops, restaurants, cafes, boutiques, and spas, with opportunities to relax. Downtown often has events going on, like the year round farmers market, free summer concerts, and Christmas carriage rides. Many real estate consumers search the web looking at homes for sale in Los Gatos. Los Gatos and Monte Sereno real estate is in no small part influenced by its schools. Public schools serving both communities are among the best in the state, and there are good private schools near downtown as well. There are two high school districts in the town and several elementary school districts, but most of Los Gatos enjoys Los Gatos Schools. But there are no “bad” schools in Los Gatos! Around downtown are many charming neighborhoods with historic homes. Towards east Los Gatos are suburban neighborhoods, many with community clubhouses, pools and swim teams. Also in east Los Gatos you’ll find a business district with the shops that residents visit for everyday needs (as opposed to more touristy things downtown). Into the foothills are many estate properties or luxury homes – many with beautiful valley views. Housing varies widely in size and style with modest ranch style homes, beautiful Victorians, mid-century moderns, vineyard or equestrian estates, and even a few townhomes and condos. Please also visit the Live in Los Gatos Blog! If you’d like more information on Los Gatos real estate, the Los Gatos community, Los Gatos neighborhoods, events, Los Gatos parks, photos and more (and also Monte Sereno), please visit the Live in Los Gatos blog, where you will find a tremendous amount of information on all things Los Gatos. Many neighborhoods have been photographed or videotaped, too. If you’d like more insight and information on the Los Gatos real estate market trends, please check out both the linked article on this site and the Live in Los Gatos Blog too, where there are monthly articles on the market! And the Altos Research chart for Monte Sereno. How’s the real estate market in Los Gatos & Monte Sereno?? Find detailed real estate market reports for Los Gatos on my popehandy.rereport.com site HERE. Find detailed real estate market reports for Monte Sereno on my popehandy.rereport.com site HERE.